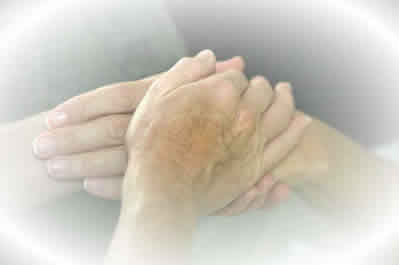 The skill of completing an intake interview that identifies patterns of behaviors for which Healing Touch techniques may be useful in assisting a patient to re-pattern their energy field is acquired. Healing Touch techniques learned in the foundation course are integrated into applications that assist in re-patterning spinal health. The appreciation of Healing Touch progresses to a deeper level with the acquisition of a technique to assist the patient in expanding their heart energy. Demonstrate the ability to remain grounded, present, and heart-centered while working in the energy field. Conduct an intake interview with a plan toward intervention. Recognize that previous experiences may have an impact on physical, emotional, mental and spiritual health. Assess the status of the chakras and biofield. Document the process of re-patterning and balancing a patient's biofield. Apply techniques that support the health and comfort of the back. Describe how the Healing Beyond Borders Code of Ethics, Standards of Practice and Scope of Practice relate to their developing as a Healing Touch practitioner. The provider of this educational event has designed the program so that it may be considered by participants for use as continuing education to enhance the professional knowledge and pastoral competency of chaplains certified through the Board of Chaplaincy Certification Inc.© an affiliate of the Association of Professional Chaplains (ACP)©.